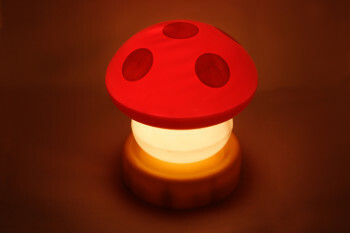 How can a mushroom power-up a smartphone? So much of the technology we use every day relies on battery power. Whether you own an iPhone, drive a Tesla, or jog wearing Bluetooth headphones, better battery life is probably pretty high on your technological wish list. Now it turns out that the way to build a better battery might be to use mushrooms. New research has demonstrated that metal nanoparticles can be attached to mushrooms to create batteries that outperform graphite-based lithium ion-batteries, which are found in essentially every rechargeable electronic device today. So what’s the magic behind mushroom power? 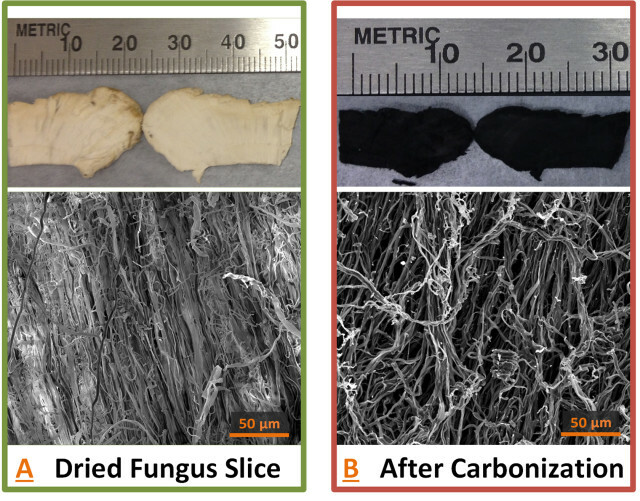 Carbon is essential for the storage of lithium ions in batteries, and mushrooms naturally provide a dense, interconnected network of carbon fibers. 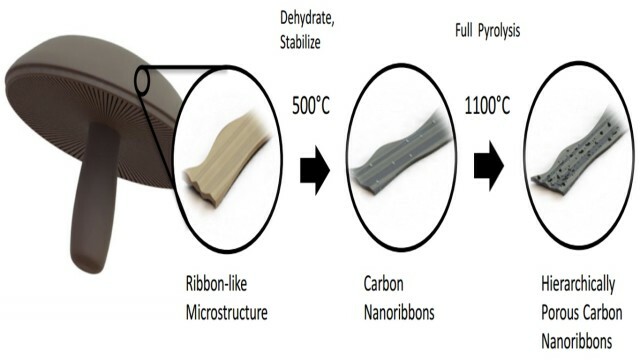 Attaching cobalt oxide particles to these carbon fibers creates a hybrid design that enables the fibers and particles to work together to hold ions and transport electrons. According to researchers from Purdue University, the hybrid anodes have a stable capacity of 530 milliamp hours per gram—one and a half times greater than graphite's capacity. In a similar effort, researchers at UC Riverside have been experimenting with batteries made from the pyrolyzed skins of portabella mushrooms. These batteries are unique because, unlike regular batteries which start to deteriorate in performance as they age, the high potassium and salt concentration in mushroom skins actually results in improved capacity over time. There are a lot of reasons to be excited about mushroom batteries. They have a capacity one and a half times greater than conventional graphite technology. Graphite is also relatively expensive to produce and leaves behind a trail of toxic waste, whereas mushrooms are inherently biodegradable. Longer lasting, cheaper, and environmentally friendly? Pinch me. Batteries are becoming an increasingly important part of our lives, with analysts predicting that by 2020 nearly 900,000 tons of raw graphite will be fabricated for electric vehicle batteries alone. Tesla’s USD$5-billion battery “gigafactory” will soon be the second largest building in the world. A better battery is something that has the potential to be a true game-changer. The implications of this research on mainstream battery technology are yet to be determined, but who knows, soon Mario might not be the only one powering up using mushrooms. The results of this fungal research from Purdue and UC Riverside are published in the journals Sustainable Chemistry and Engineering and Scientific Reports, respectively.